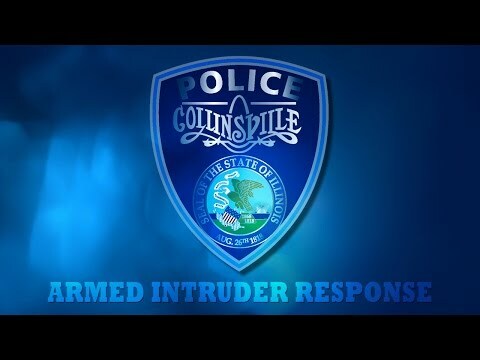 The City of Collinsville wants to ensure that all residential and non-residential properties are safe, maintained, and meet the minimum requirements. We act to accomplish this through the City’s Occupancy Permit Program. The Occupancy Permit Program provides inspections for residential and commercial properties located within the city limits and an Occupancy Permit is issued when a property passes the inspection. An Occupancy Permit is required when the occupancy or ownership of a home, apartment unit, or commercial building (including tenant spaces) changes and there is not a current permit on file. Residential Occupancy Permits are valid for 2 years. In order to help landlords and property managers understand how the Residential Rental Occupancy Permit Program will operate, responsibilities, etc., the City held three "open houses" at City Hall, at various times, to ensure everyone has an opportunity to attend. In order to help property owners and realtors understand hwo the Residential Change of Ownership Occupancy Permit Program will operate, responsibilities, etc., the City will be hosting three "open houses" at City Hall and the Activity Center to ensure everyone has an opportunity to attend. In person at the Community Development Department located on the ground floor of City Hall. We accept cash, checks (payable to "City of Collinsville"), Discover, MasterCard, VISA, and American Express. By U.S. Mail, submit application with the fee paid by check only (NO CASH). Residential Occupancy Permits: $50.00 (includes 2 inspections. Any additional inspections are $25 each). Applicant must contact the Department within seven (7) days of the submission of an application to set up an appointment for an inspection. "As Is" properties, or those that have been vacant for 6 months or longer, must contact the Department within two (2) days. Ideally, the inspection is set up with the submission of an application and the property is vacant. The inspection must occur within 30 days from the date of application. Tenants may move in once the application has been submitted and prior to City inspection, however, any "life safety" deficiencies identified by City inspectors must be corrected immediately or tenant may have to vacate the premises. All deficiencies must be corrected, and a re-inspection scheduled to occur, within 30 days of the initial inspection, which allows time for the correction of all identified violations. A one-time 30-day extension for correcting deficiencies can be requested of the Department by utilizing the request form below. The property must have utilities (water and electricity) in operation for the inspection to occur. Ameren Illinois & the Collinsville Water Billing Department will request the Occupancy Permit number prior to accepting a request for a utility service account. An adult 18 years or older must be present at the inspection unless the unit is entirely vacant and unoccupied. Fees apply for any inspection following the initial re-inspection. Inspection "no-shows" (after 15 min wait) or where required work has not been completed may be counted as an inspection and additional charges may apply. If your property is going to be a residential rental, you will need to comply with the requirements of the Landlord Licensing and Crime-Free Housing Programs. Changes in ownership of rental properties, where there is no change in tenant, does not require an Occupancy Inspection and Permit, but an inspection of all common areas (e.g. foyer, stairwell, exterior, etc.) is required. Note: This inspection does not qualify as an inspection for the purposes of the"2 year rule" (Sec. 15.10.070.B.). Holiday accommodation. The City will make every effort to accommodate applicants with regard to the submission of applications, scheduling of inspections, and associated deadlines when such requirements conflict with official holidays or other City Hall closures. Please contact the Department with any related questions or concerns.